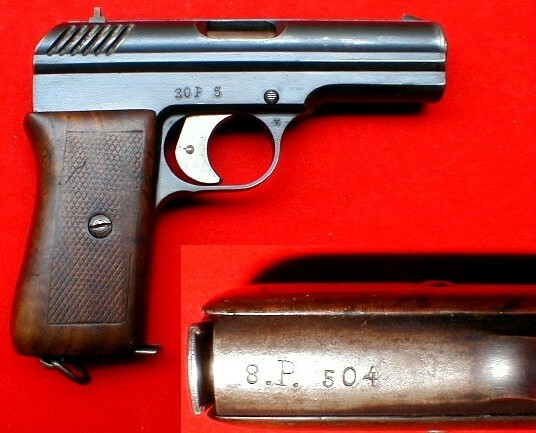 Second variation of CZ 22 pistol. Eight shot magazine. External hammer. 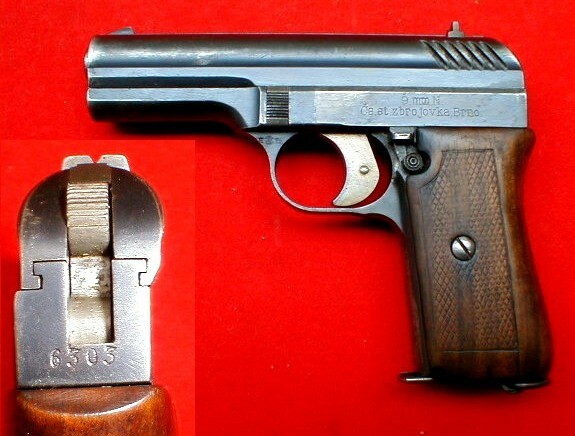 Czechoslovak military proofs, "E", "Rampant Lion" and a date "23" are stamped on the left side of the trigger guard. The left side of the frame is marked, "9.mm. N. Cs. st. zbrojovka, Brno". 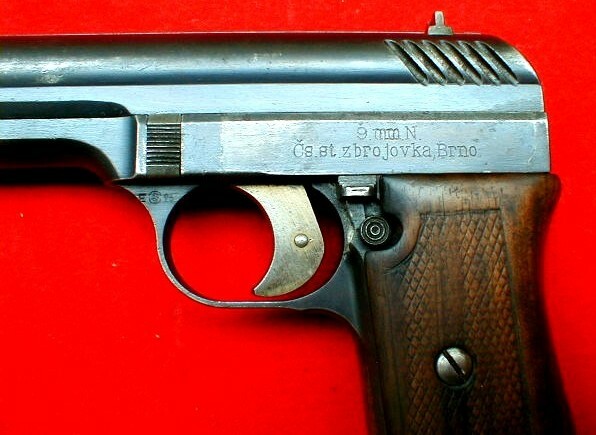 The front part of the grip displays Czechoslovak military regimental markings, "8 P. 504" (8th Infantry Regiment). 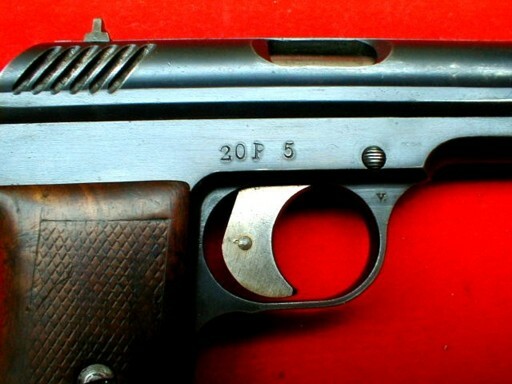 The right side of the frame displays different Czechoslovak military regimental markings, "20 P. 5" (20th Infantry Regiment), which may indicate that the pistol was transferred to another military unit.